OHMYGAWD!!! Where do I even start?! I floved this book! 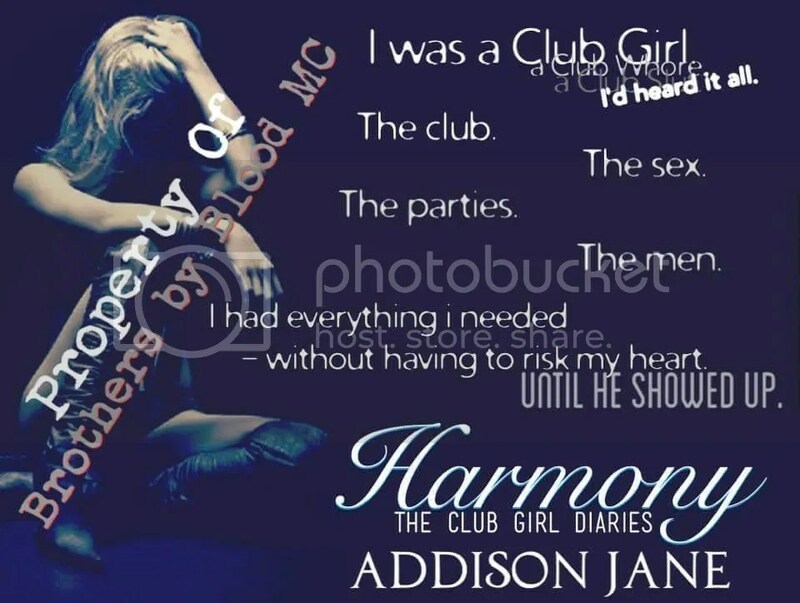 This was my first book to read by Addison Jane but I am most definitely hooked! It’s no secret I love mc books, and this one was right up my alley! 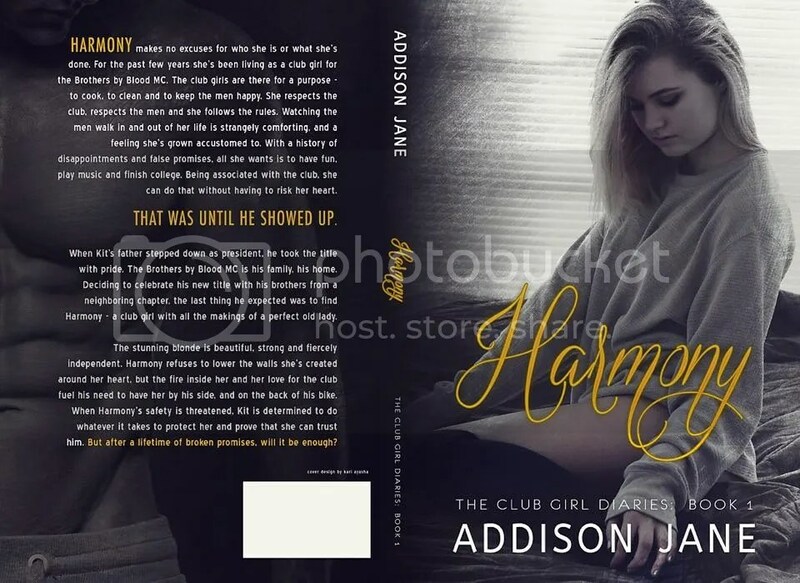 Seriously guys if you’re a fan of mc romances like I am, then you will definitely want to check out this new series by Addison Jane! I adored this book so much that I’ve already asked when the next one is coming out! 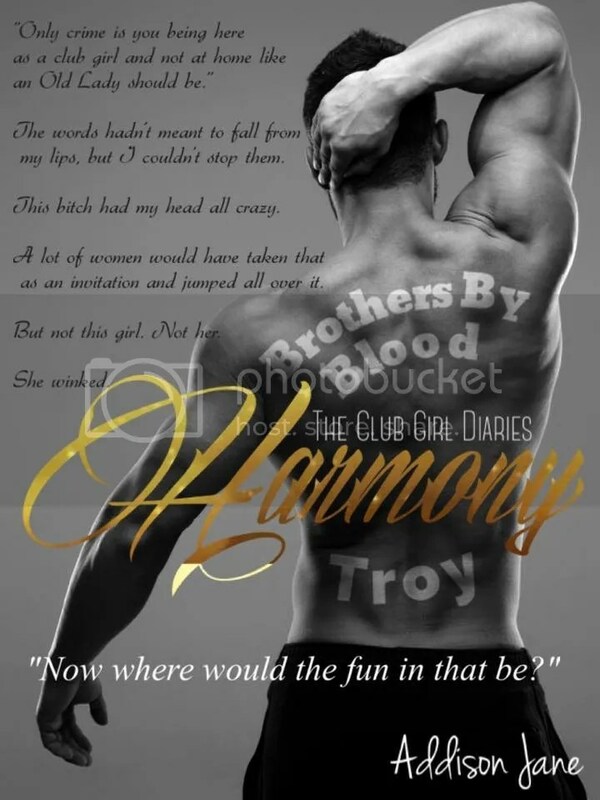 Harmony is feisty, strong, and knows all the ins and outs of club life. 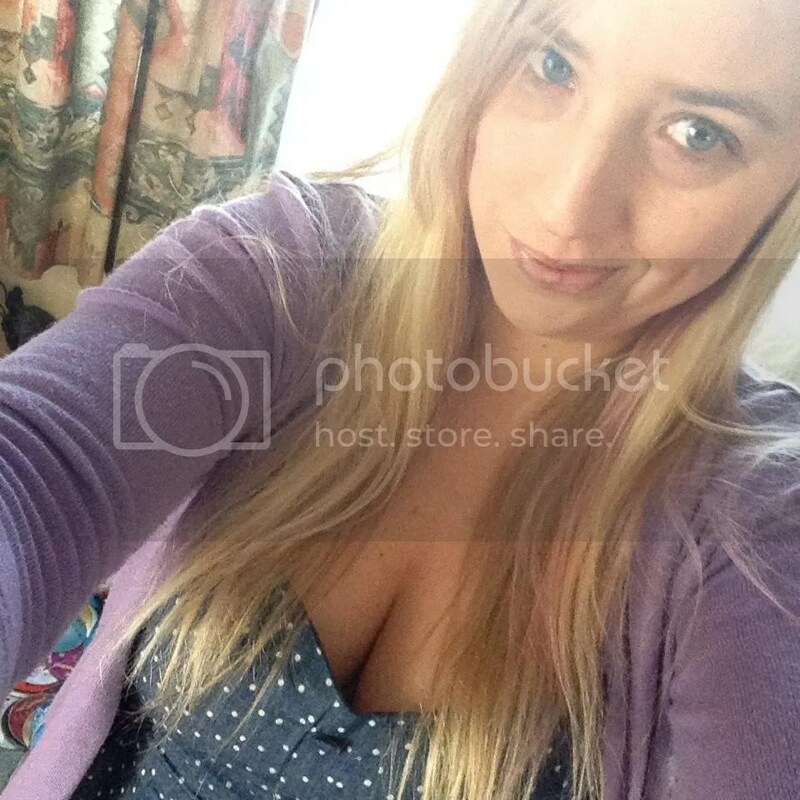 However, she doesn’t believe any man will ever want her for more than just a physical relationship. But Kit is there at every turn to prove her wrong! He knows Harmony has just what it takes to be old lady material.